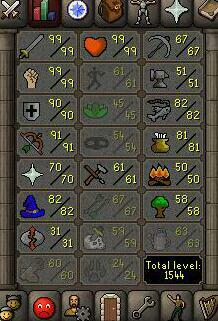 Level120, ATK:99, DEF:90, STR:99, MAG:82, PRA:70, RNG:91, Slayer:59, fishing:82, cooking:81.total lvl:1544,quest points:192, has torso and full void set on. 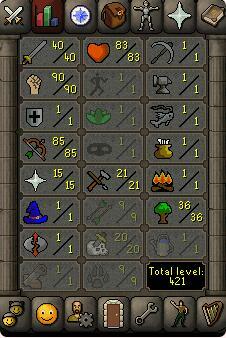 Level120, ATK:93, DEF:91, STR:94, RNG:99, Slayer:94, MAG:82, PRA:99, Herblore:69, Fletching:82, cooking:70, WC:81, farming:73. total lvl:1675, quest points:104. 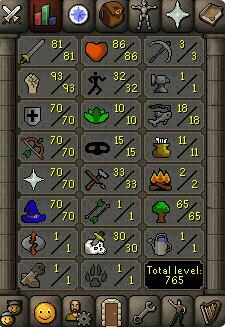 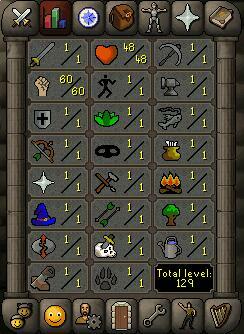 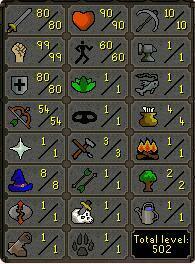 Level115, ATK:95, DEF:88, Herblore:51, MAG:92, PRA:61, RNG:84, Runecrafting:38, Slayer:45, STR:90. 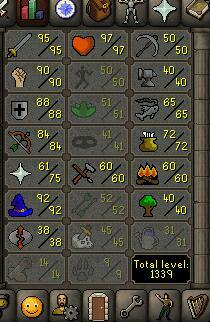 Level100, Hunter:99, ATK:75, DEF:77, STR:84, MAG:84, PRA:68, RNG:84, Slayer:63, Firemaking:80, WC:73. totallevel:1341, quest points:98. 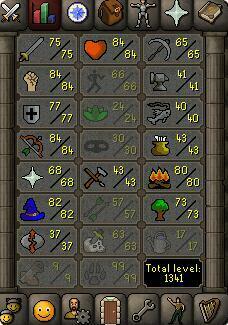 Level41,MAG: 80, the rest are all 1. 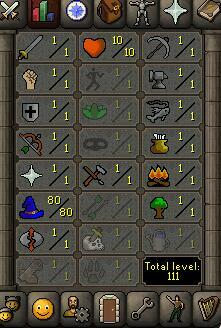 Level32,STR:60,the rest are all 1. .